If you’re looking for the perfect way to show someone you care, you need something more than ordinary. Surprise someone with a gift you can be sure they will love! Whether you are searching for a one-of-a-kind artisanal gift or just a decadent treat, you’re looking beyond the supermarket aisles for something truly special. Our Signature Chocolates collection includes our most popular selections, with classics such as meltaways, truffles, and nut clusters. From dark chocolate peppermint patties to our sweet and salty sea salt caramels, you are sure to find something you love. Our Sugar-Free collection offers a delectable alternative for those with dietary restrictions or anyone who would like to enjoy Coblentz’s fine chocolate without the sugar. For our corporate customers, Coblentz offers special corporate gift boxes and can even create chocolates using your company logo. Let us create the perfect gift to fit your needs! 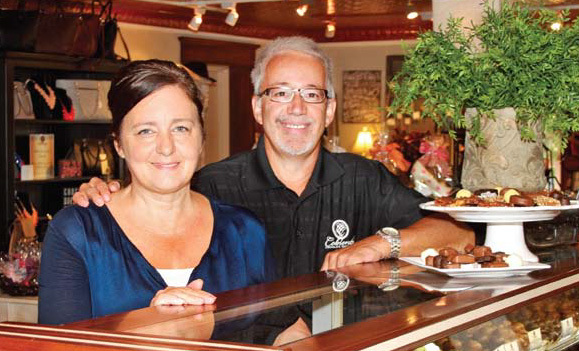 Founded in 1987 in Ohio’s Amish Country, Coblentz Chocolate Company is a family-owned and operated business that preserves the local tradition of doing things the old-fashioned way. We welcome visitors to our Walnut Creek headquarters where they can shop 114 varieties of chocolates and other confections as well as visit our viewing gallery and watch delicious confections being created in our on-site production facility. In addition to our gourmet chocolate selections, we offer a wide variety of hard candies, barks, and premium nuts and popcorn.